I met Jesus in a powerful way at summer camp, and from that point on I craved more of Him, whatever that meant. Growing up, I felt different from everyone around me (I’m sure all of my “creative feeler” types can relate), but ever since the day I met Jesus for the first time in August of 1998, I felt even more different. A “call,” if you will. At 10 years old it wasn’t super deep, but as I grew through my teen years I felt the stirring more and more. It was a sense that I was meant for something greater than the life that people were telling me to pursue. To be honest, it was actually annoying from time-to-time! I wanted to care about money. I wanted to care about career. All of my friends seemed to care about those things, but I knew that there was more. I knew I was called to worship. Throughout the years, I have found that one place where God constantly meets me is in worship. Some of the most impactful moments in my life have happened during worship. I once felt what I can only describe as a “bear hug” from Jesus, and it changed my life. There is nothing like feeling a bear hug from Jesus while you are crying at the altar and pouring out your heart! That was the moment I felt the Lord calling me to ministry, and the moment in Bible college where He shifted the trajectory of my life (just by that simple bear hug). 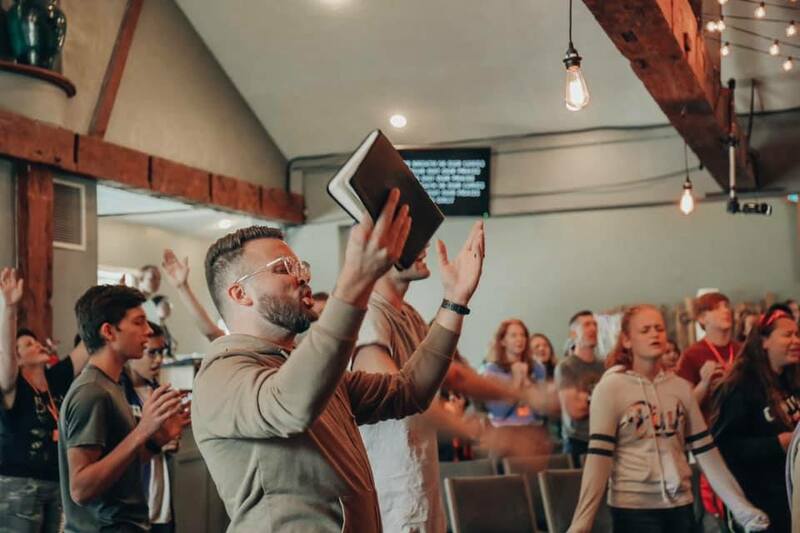 I started North East Worship Camp because I believe that connection with God is the only answer to whatever life throws at us. Worship is the way to not only survive but also to thrive in this messy world. I am convinced that when you encounter the Lord in worship your perspectives shift, problems fade, worries decrease, and love opens its big, wide arms and stretches further. While we don’t worship to get something from Jesus, I believe Jesus is gracious enough to give us a touch of His glory and goodness as we glorify Him. He’s just that good! When we encounter the living God, we begin to understand that we are supposed to feel different and be different. 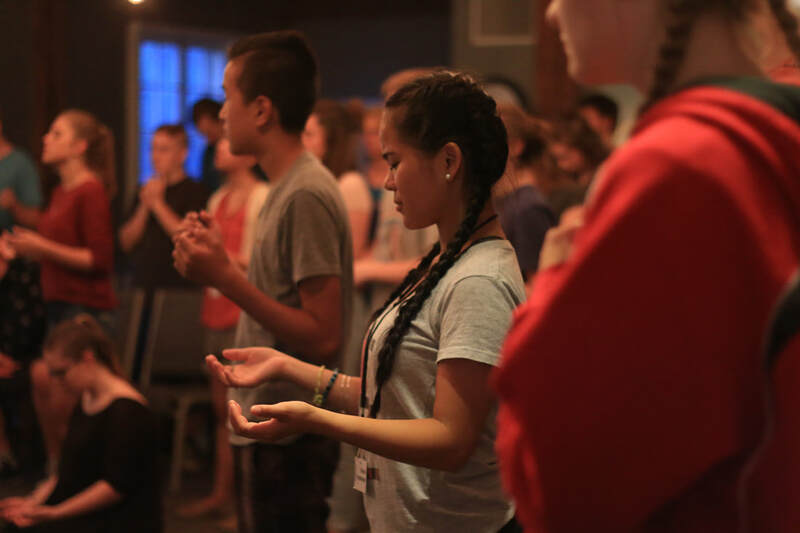 The world would say that “religion” isn’t needed, and if there is a God, He “just wants you to be happy.” North East Worship Camp exists because we are different, and we are supposed to change the world. At NEWC, we do not care about accolades. We do not care about money. We want to see the glory of God manifested in the lives of worship leaders and musicians in the northeast. The Lord is raising up a generation passionate about encountering Him because they know that the only sustainable life is lived in His presence and through His power. All of this begins with worship. It was in worship that I first met Jesus. It is in worship that Jesus continues to prove himself to me time and time again as I push past my thoughts, feelings, and circumstances to confess my need and pour out my love for Him. I invite you to join me this summer at North East Worship Camp as we encounter the Lord together, believing that God is going to change this region as we return to our first love in worship. Because He is worthy of every song. Because He is worthy of every high and every low. I will never forget this conversation. I was talking to a new couple in our church who had recently surrendered their lives to God and were growing dramatically in their faith each week. They were sharing a powerful moment they had experienced that morning while I was leading worship. Apparently, they had come to church ready to try something new in their expression in worship. They saw other people raising their hands and wanted to try it themselves. When worship kicked in, they kept looking at each other waiting for the other person to raise their hands first but they were both too afraid still. In the middle of their tension, I invited the audience to raise their hands and explained, "this is an outward sign of our inward posture as we receive from God this morning." This simple invitation and instruction were all they needed. Simultaneously, this couple raised their hands together and engaged in worship on a whole new level. I believe that the Lord is attracted to our hunger for Him and that there are practical things we can do, both personally and corporately, to position ourselves to experience His presence. Maybe all you need is a simple invitation or explanation of these things to engage on a whole new level. Or maybe you are a worship leader who is looking for ways to engage your church to express themselves more. Let's take a look at some key expressions of worship that help us celebrate God's presence. What is the connection between worship and singing? Pastor and leadership guru Andy Stanley says, "there is something very powerful that takes place when believers sing together…Truth put to music penetrates the heart like few things can.” I love that because it describes both the practical and mystical relationship music and singing have in our worship. Music and singing have great value in opening our hearts and emotions. Have any of you use music to memorize all 50 states or some other list of facts? What about that favorite song on your phone or radio. When you’re with your friends and that song comes on it’s like nothing else in the world matters. Think about being at a wedding reception and seeing the bride and groom’s first dance. That song means something and is a lens through which the crowd gets to have special insight into their relationship. Music and singing, very simply, are just tools for communication. Through song, we communicate with each other and with God some of the things we find hard to express any other way. The songs you sing to God are very meaningful in your relationship with Him. They help you find the words to say what you feel and believe. They are the soundtrack to your story. So, why do we sing when we worship? It is a significant way we communicate our hearts to God and to the world around us. My pastor, Jared Ruddy, shared a really interesting story with me the other day about blind Olympic athletes who raise their hands in victory even though they have never seen it done. For these brave men and women, raising the arms in a victory salute to mark a gold medal-winning performance comes naturally. Scientists have observed that blind athletes use the very same gestures as their sighted peers, even though they have never seen anyone else do it. I love this because it tells me that we are all hard-wired to lift our hands when we feel excited about good news or when we are celebrating victory (both things that should happen when worshiping the God of the universe). I'm not going to spend a lot of time on this one except to say that most of our churches could use a solid tempo course. If you lead worship you have experienced the off-tempo clapping that can occur in our churches. Nevertheless! We need to clap in our celebration of God's worth and glory. David and his wife Michal (Saul’s daughter) had it out in 2 Samuel chapter 6. You know the story - David is elated that the ark of God's presence is finally entering his city. His punch-dance-worship, tears his own clothes off, and he is left dancing in his Captain America tighty-whities. Michal can't believe what she is seeing. She married David so she could be a queen and live a dignified life. Her sarcasm is noticeable when she critiques David for his extreme worship. OUCH! Did David really just go there?! "Chose me above your father?!" Wow, that's rough. But you have to give it to him, David wasn't backing down. He knew he was giving God his all. And I think we all wish we could get there, especially when it comes to our outward expression of worship. How many of you have ever seen a child dancing at a party or a wedding? I mean, they just go for it! They don't care who is watching, they are free and loving it. If we are honest, we all want to get there. The best way to get there is to decide ahead of time to be like David, willing to be as "undignified" as it takes. So I will encourage you the way I encourage my worship band, "Let what's happing in your heart come out through your body." Go have some fun and dance it out before God. If you are frustrated by your lack of engagement in any (or all) of these areas, I want to encourage you to study these simple applications until they take root in your heart. The only thing getting in your way is fear, and fear only produces regret. When you feel afraid, just think of David dancing before the Lord or that child at the wedding. Think of how happy you would be if you try just one new expression in worship, either alone by yourself or this weekend at church. Your new freedom in worship may even inspire someone else who feels just like you. Or you may be a worship leader who wants to help your church grow into greater expressiveness in worship. I challenge you to believe each Sunday that the wonderful people in your church desperately want to join you when you invite them to sing or lift their hands. Some of them just don't know what to do or why they should do it. Speak to their hunger and draw them out with an invitation. Use some of these simple applications I have given you to explain what they should do and why it is important. Some of them may just be waiting for you to speak to them.